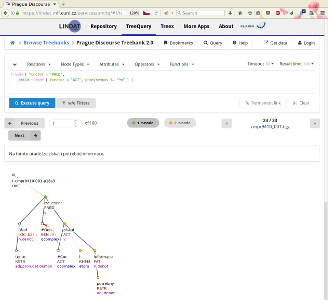 A PML-TQ server hosted at ÚFAL can be accessed via LINDAT/Clarin web service (many of the treebanks are accessible freely, other treebanks require a login name and password - contact Matyáš Kopp to get information on how to obtain access to other treebanks). 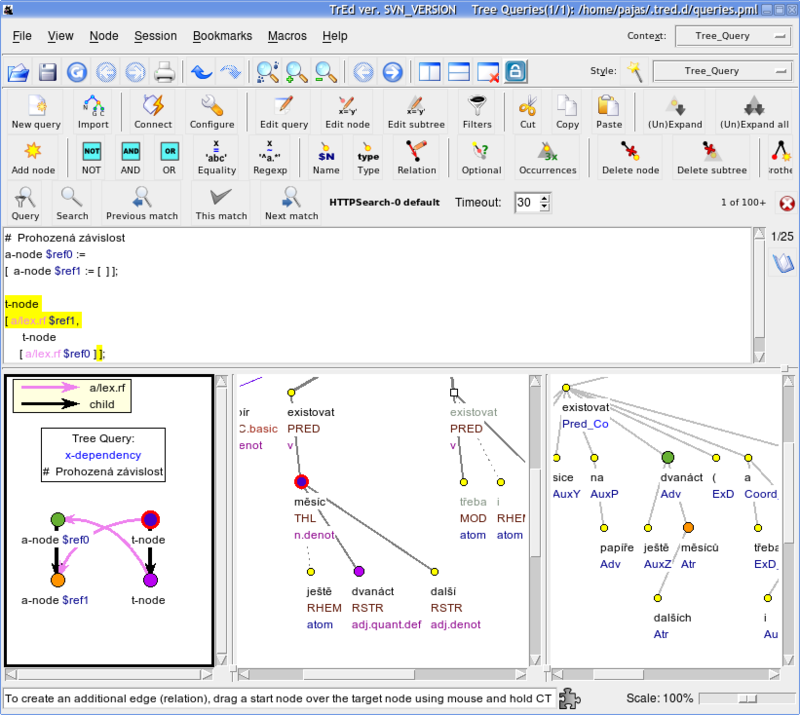 A fully graphical client for the PML-TQ with client-side searching capability is part of the tree editor TrEd (a GPL-licensed software available separatelly) as an extension called pmltq. 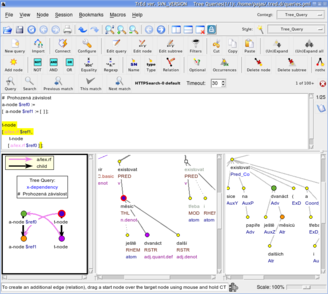 Several other extensions provide PML schemas and visualization stylesheets for various treebanks. To install this extension, start TrEd, select Setup -> Manage Extensions -> Get New Extensions and select 'pmltq'. When done, press Shift+F3 to start the search. 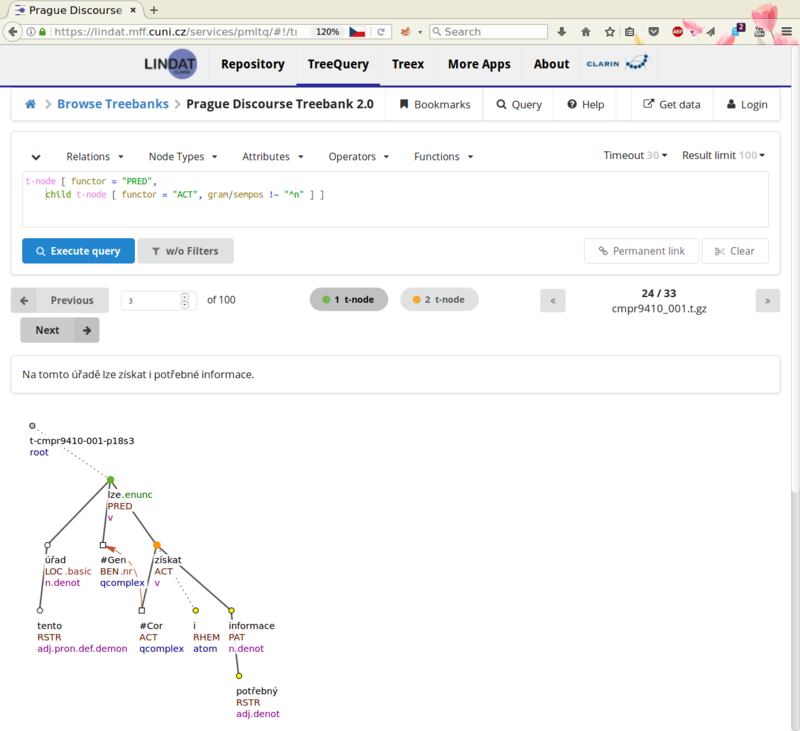 Select Treebank (server) for searching using a PML-TQ server, or 'Files (local)' for searching local files using client-side search engine built into the client (contact Matyáš Kopp to get access to the PML-TQ server hosted at ÚFAL).